8th December 2014. Clifton & Dr Duncan Chadwick take the Sub-4 Biomechanics Academy & DPI to Energy Lab and the local university in Eindhoven. 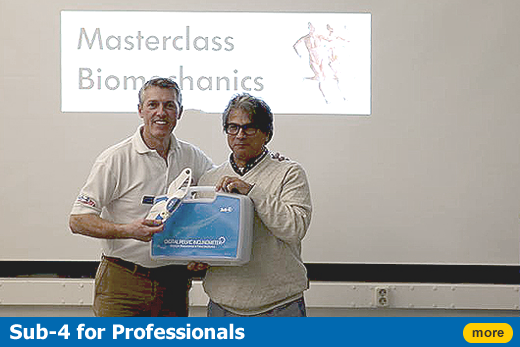 They are putting on a master-class in biomechanics for up to 100 regional practitioners showing them the very latest clinical techniques, assessing the pelvis using a DPI.